If we’re to live sustainably on our planet, there is no doubt that our global food system needs to change. At the moment we are simultaneously failing to properly nourish billions of people, while also wasting more than a billion tonnes of food every year – a third of the total food produced. This month, more than 225,000 people have taken the Veganuary challenge and pledged to try a vegan diet. Our current methods of rearing cattle and other livestock cause the same carbon emissions as all the world’s vehicles, trains, ships and planes combined – and by 2030 will be responsible for half the world’s greenhouse gas emissions. The Global Livestock Environmental Assessment Model (GLEAM) notes that livestock supply chains emitted an estimated total of 8.1 gigatonnes CO2-eq in 2010. Methane accounts for about 50% of the total – which is concerning because over 20 years, methane warms the atmosphere 86 times faster than carbon dioxide. Cattle are the main contributor, representing about 62 percent of sector’s emissions. While it may be easy to see veganism as a panacea for all the world’s problems, the truth is more nuanced than that. As One Million Women wisely point out – no food will always be the sustainable option. In some cases a highly processed milk alternative which has to travel a huge distance to reach consumers may be less environmentally friendly than locally sourced cow’s milk from a sustainably raised herd. Expecting the entire world population to convert to what is seen by many as a very restrictive diet is probably unrealistic, but encouraging significant reductions in our consumption of meat and dairy is certainly necessary. It is important that whatever we choose to eat is sustainably and preferably locally produced. When done thoughtfully, sustainably farmed livestock can help restore soils and biodiversity, and sequester carbon – but this cannot produce meat to match our current rates of consumption. Scientific advances are now allowing us to grow meat in a lab, which is a significant step towards providing real meat without the huge environmental impact and welfare problems of intensive livestock production. And for the first time, researchers have proposed a three-step strategy to gradually replace animal proteins with plant-sourced proteins, starting with those foods which have the highest greenhouse gas emissions such as beef, then cow’s milk and pork. Recently published research has shown that people do want to make greener dietary choices – when they know how. 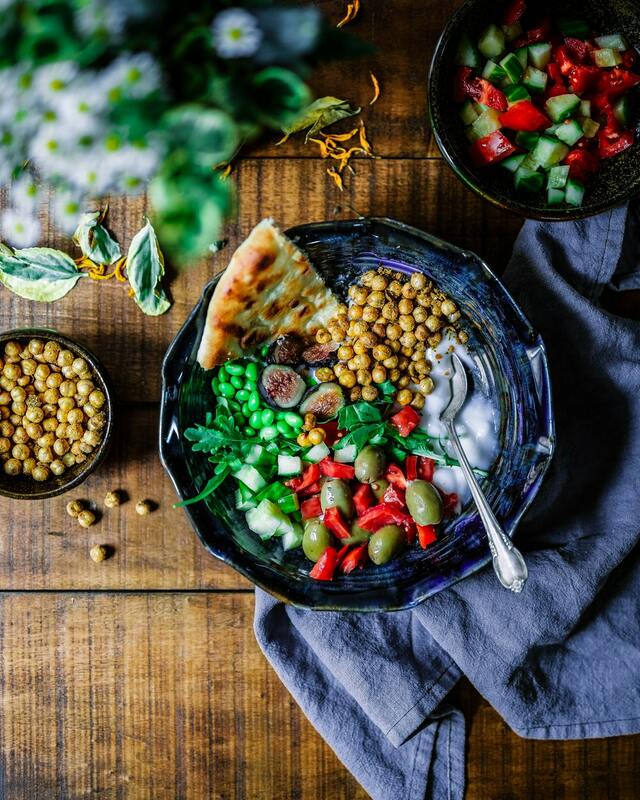 While decision making depends on many other factors including finances and personal values and preferences, providing environmental ratings on food has shown to be a powerful tool for helping to shift diets towards more sustainable options. Small changes can have a big impact on the carbon footprint of your diet. Limiting animal products, especially beef, dairy and pork is a great place to start. Buy local produce in season, and reduce the amount of food you waste – leftovers can be reheated, or frozen if you don’t want to eat them straight away. Whip up a quick soup, quiche or stir-fry with any veggies that are on the way out, instead of throwing them in the bin, and choose dry goods over canned – less liquid means they’re lighter and easier to transport. Changing our diets can sound like an overwhelming challenge, but it needn’t be. Make one change at a time, starting with those which will have the greatest impact. We can learn to live sustainably on our planet, and if we want to protect our future, we need to start now.